Getting into fastboot or recovery mode on your Android device is nothing new, especially if you're a softModder. Accessing the bootloader menu is the genesis to a lot of mods, and if you're like me and constantly tweak your device, you probably get irritated every time you have to shutdown, then use the power button and volume rockers to access the special menus. But there's an easier and faster way to access your recovery mode, and a simple application does the trick. Whether you're new to softModding or a veteran, you'll soon realize just how convenient this app can be on your Nexus 7 tablet. We've shown you how to access the reboot menu on a Samsung Galaxy S4, but it required getting into recovery and flashing a zip—forget all that work! 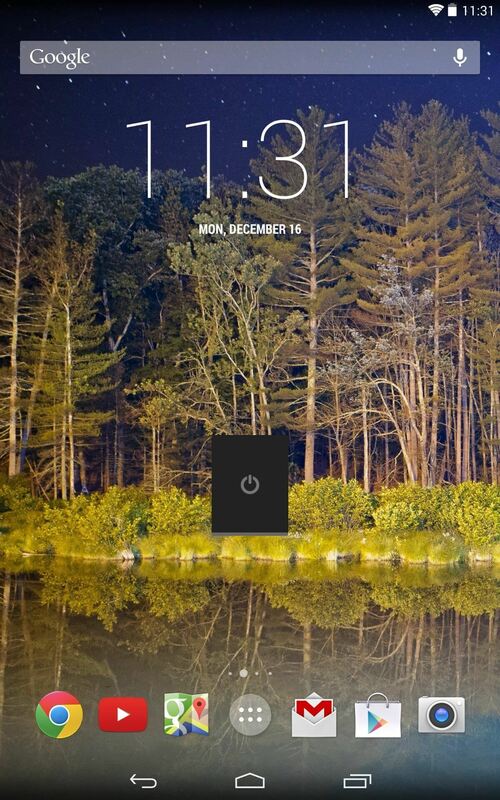 All you need for this process is a rooted device and the Reboot Menu Widget from Google Play. There's not much explanation needed after you've installed the application. Leave the app icon in your app drawer or use the widget that they've provided. Open the menu and choose from one of six options you can perform. No longer will you need to hold power and volume down to access your boot loader. 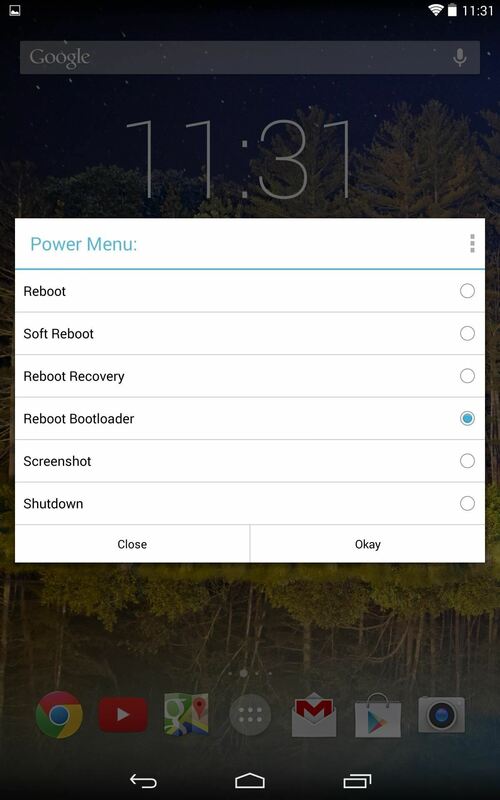 Enjoy effortlessly booting into bootloader or recovery mode from your reboot menu to quickly flash a mod or .zip file.